Live Luxe by Jennifer Lopez is a fragrance that turns up the volume on ultimate luxury. Its a new way to wear Live...more opulent and more glamorous. Live Luxe perfume captures the moment when you feel completely consumed by my passion for dance. It is a moment of total elation and complete, uninhibited indulgence. Live Luxe celebrates Jennifer's excitement for dance and her love of luxury. 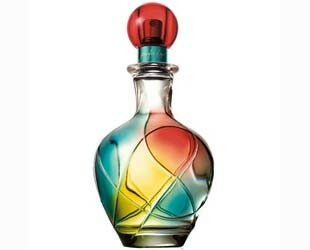 Notes include juicy pear, luscious peach, exotic melon, electric citrus, apple twist, muguet petals, amethyst freesia, honeysuckle, diamond musk, creamy vanilla, and sandalwood. It is recommended for a romantic occasion.